The Legislative Statement is MCF's compendium of public policy goals, policy statements and policy positions. Our long term policy goals are to promote prosperity for all Minnesotans through inclusion and equity and to promote philanthropy and charitable giving. Issues of interest are described by general policy statements that are supported by more specific policy positions establishing the focus for our advocacy to advance these issues. 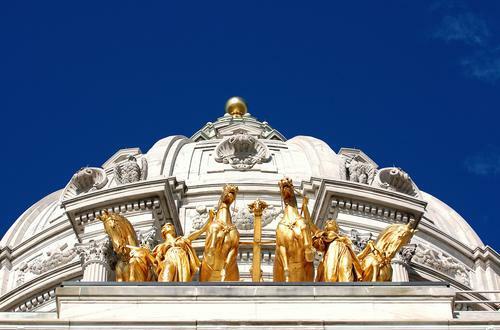 The policy statements and policy positions in the Legislative Statement are developed by MCF's Government Relations and Public Policy Committee and are approved by its Board of Directors. They reflect the interests of MCF's members as expressed through the work of issue-based member networks, collaborative grantmaker initiatives and Minnesota grantmakers' funding priorities. CREATE A MORE PROSPEROUS, INCLUSIVE AND EQUITABLE MINNESOTA BY ELIMINATING DISPARITIES. EXPAND PHILANTHROPY, CHARITABLE GIVING AND MINNESOTA’S COMMUNITY OF GRANTMAKERS. For more information, contact MCF's director of public policy and communication Bob Tracy at btracy@mcf.org or 612.335.3558, or program manager Katina Mortensen at kmortensen@mcf.org or 612.335.3597.